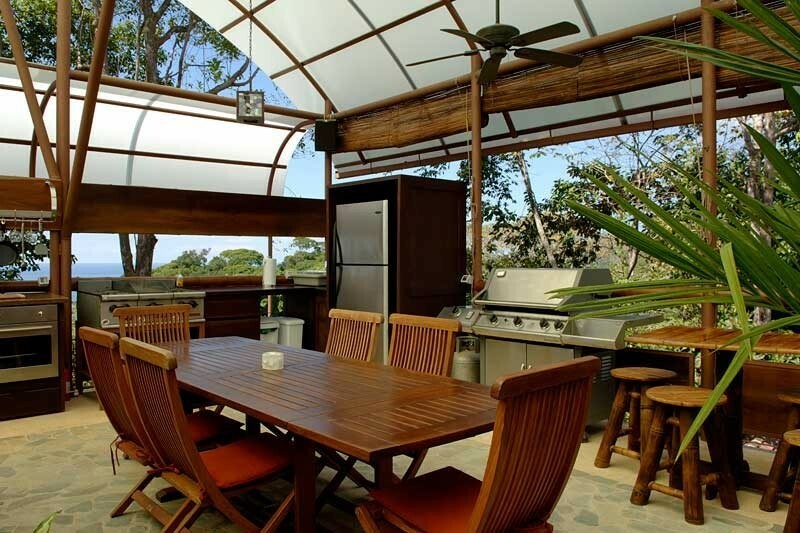 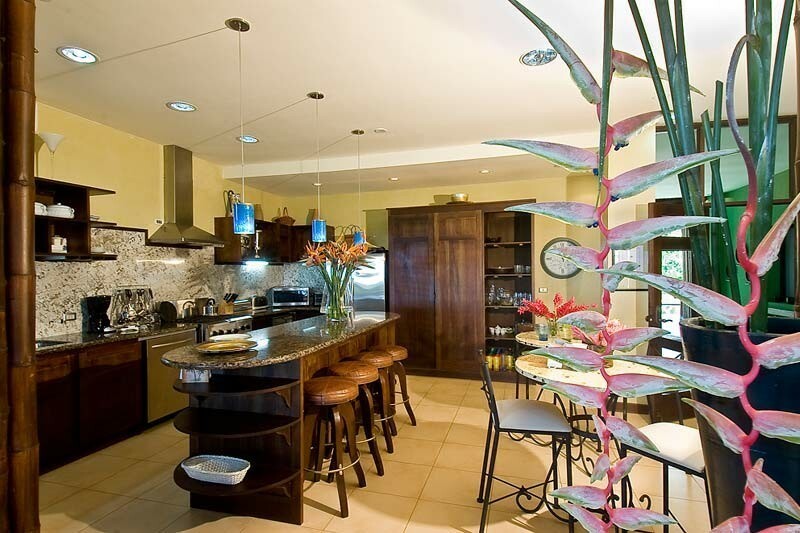 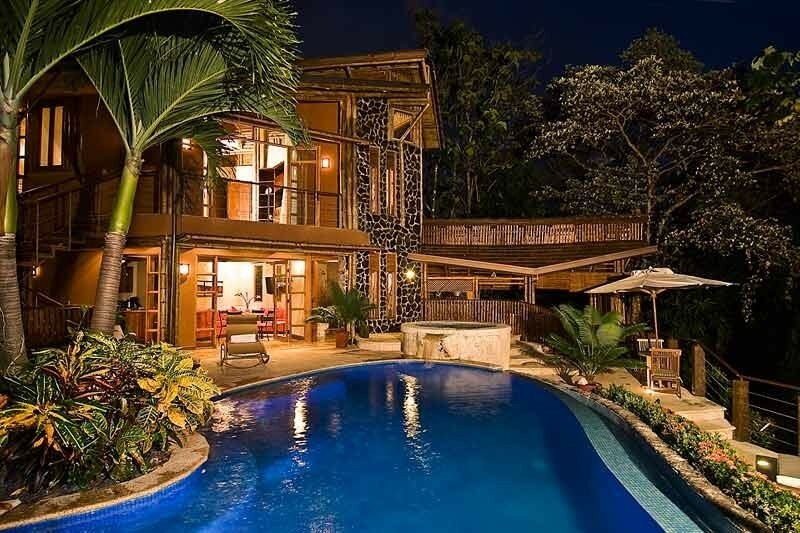 A stunning tropical Villa in the Uvita/Domincal area. 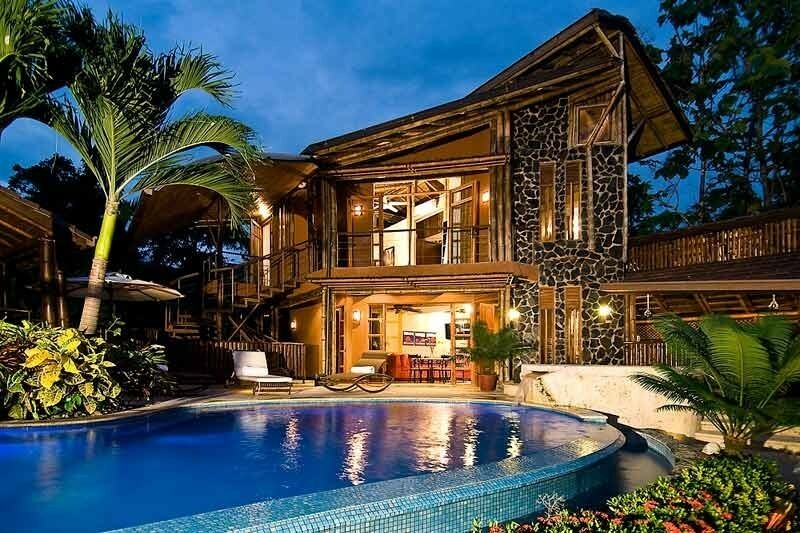 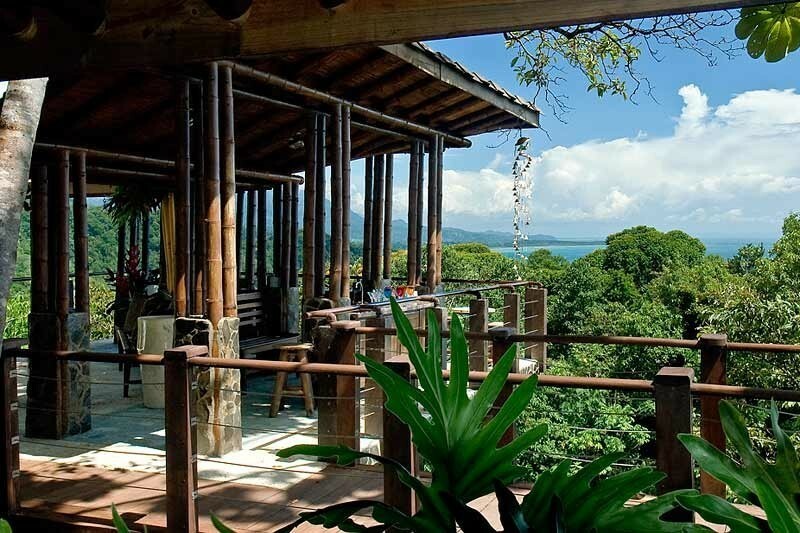 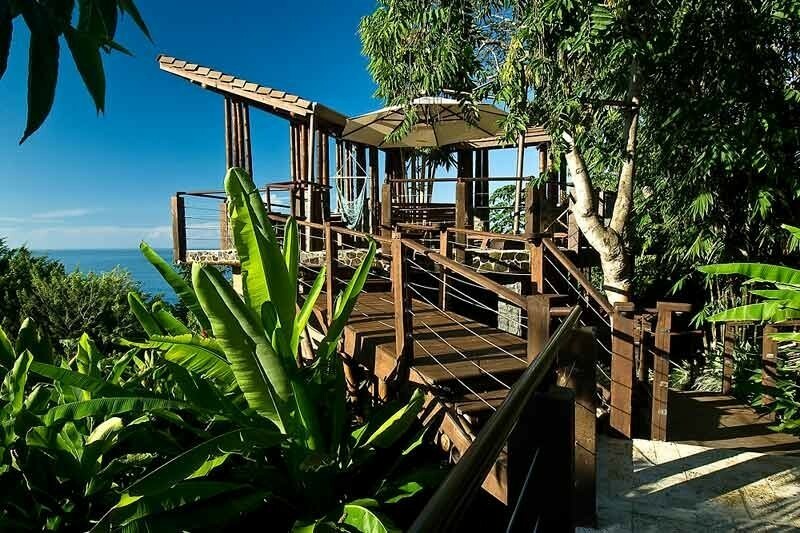 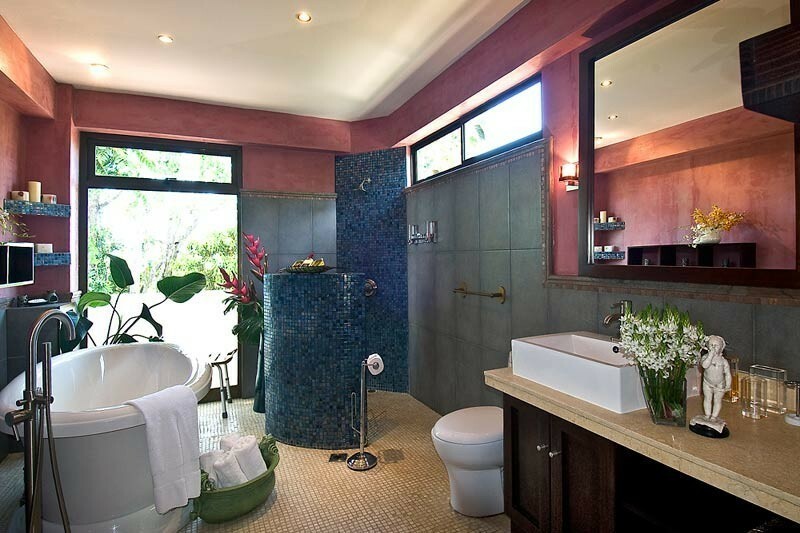 The Villa was built using Eco-Green Tropical Costa Rican Architecture that blends itself into the surroundings, using rustic and modern finishes with bamboo, coral stones, volcanic and river stones, tropical hardwoods and recycled glass. 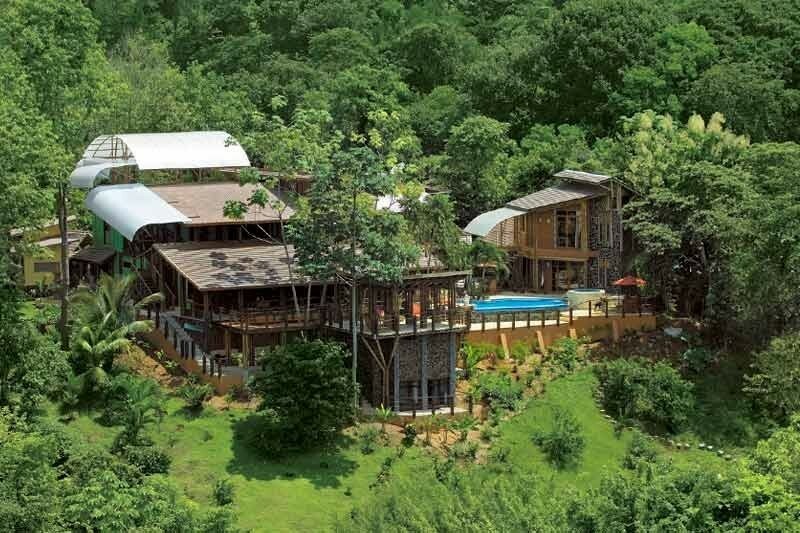 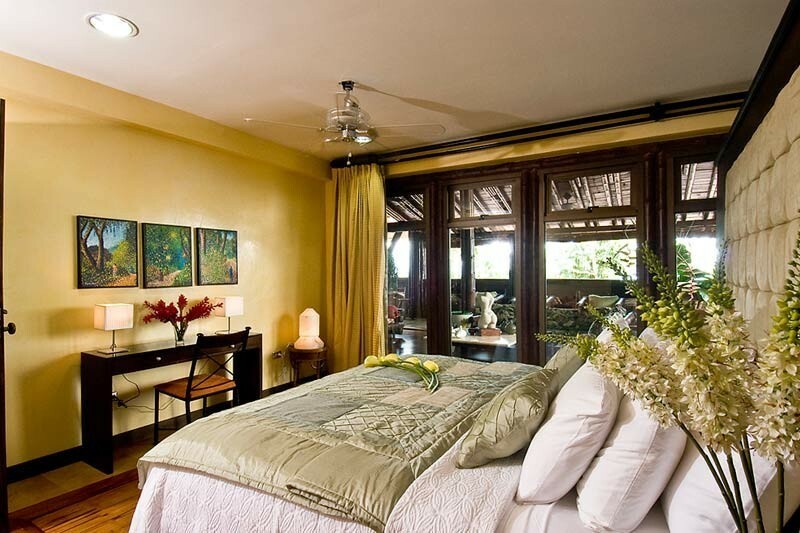 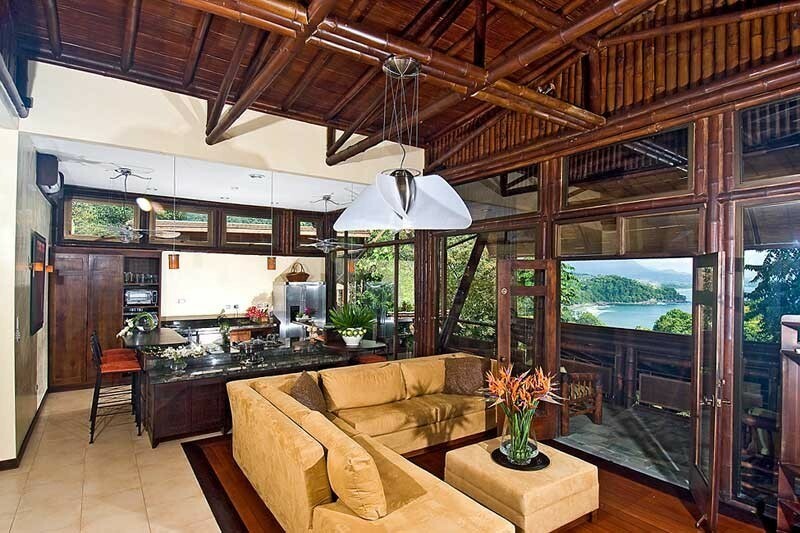 In this Costa Rican villa all details, plants and art work harmonize to echo with the surroundings. 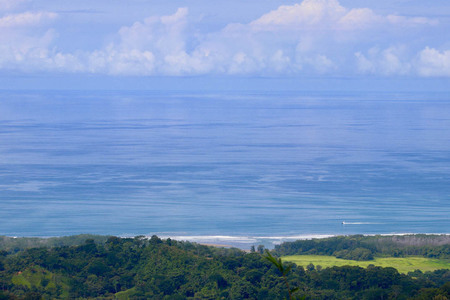 The mountain of “Cabeza Del Mono” (Monkey’s Head) and the Pacific Ocean offer breathtaking views. 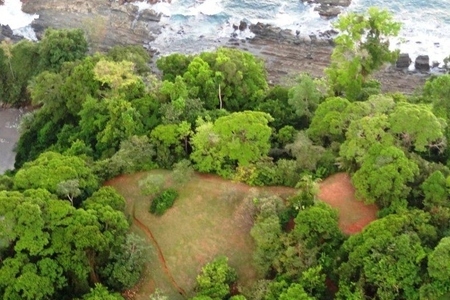 Unspoiled natural beaches are located just below. 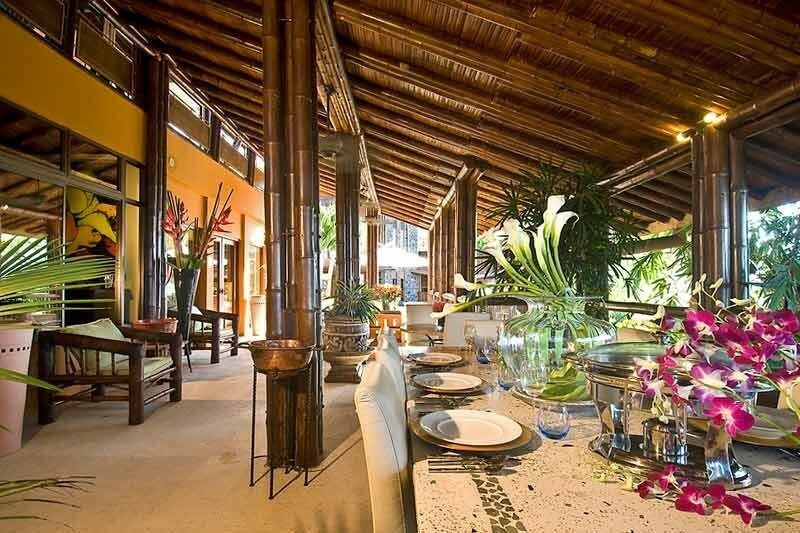 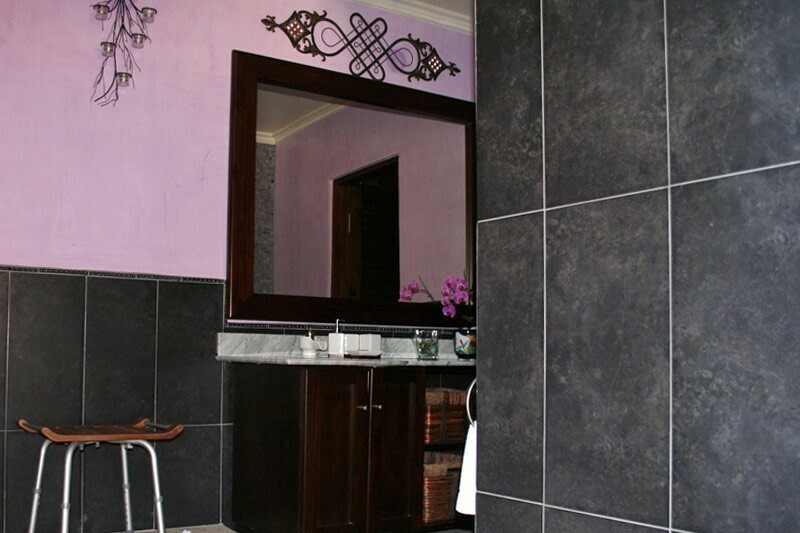 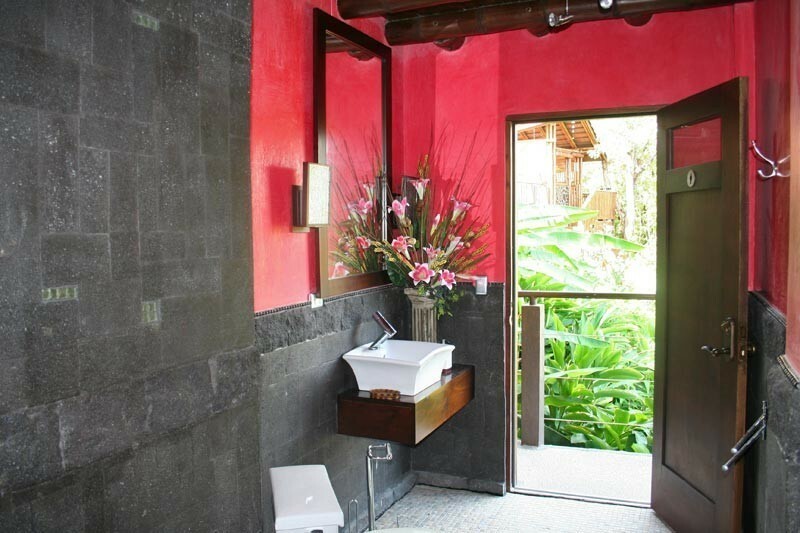 The villa is enveloped by tropical forests teaming with exotic wild life and accented by lush gardens and fountains. 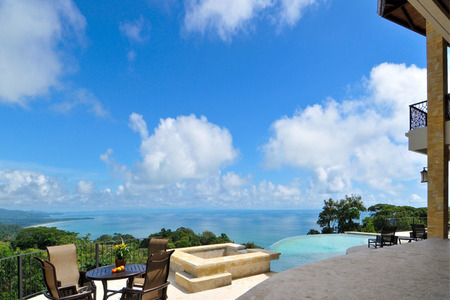 This one of a kind villa is located just off the main Coastal highway providing incredible easy access. 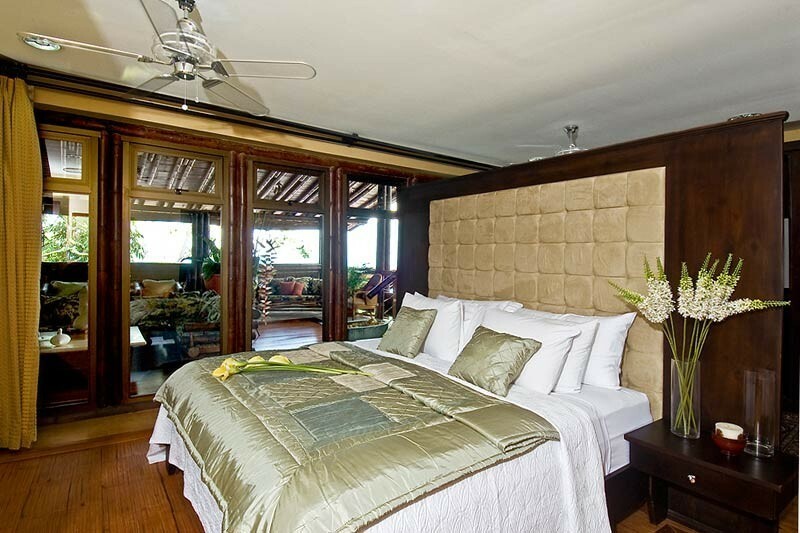 The incredible list of amentities include the following: 6 Bedrooms with CA Oversized King Beds complete with A/C, 2 Queen Size Murphy Style Queen Beds (In living room areas), 1 A/C Controlled Dining Area, 1 A/C Controlled Bar Bistro Area, 2 Outdoor Open Air Dining Areas, 3 Outdoor Open Air Covered Lounge Areas with Ceiling Fans, BBQ at 2 Lookout / Lounge Areas, Unheated Private Infinity Pool, Unheated Private Jacuzzi, Pool Area Complete with Lounge Chairs, 1 Outdoor Open Air Covered Exercise Facility with Ceiling Fans, 5 en-suite bathrooms and 3 additional full baths, 1500 thread count Egyptian cotton linens. 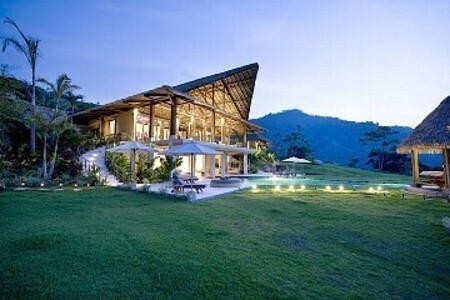 Daily maid service is included. 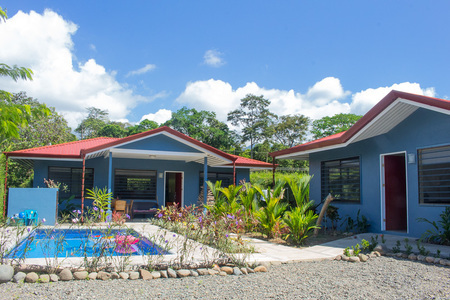 Laundry facility is available on premises. 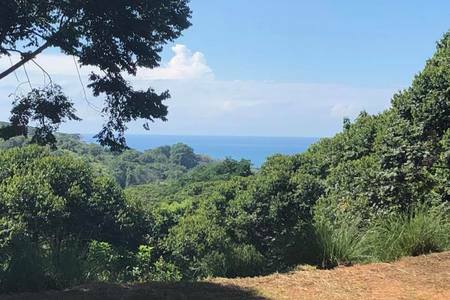 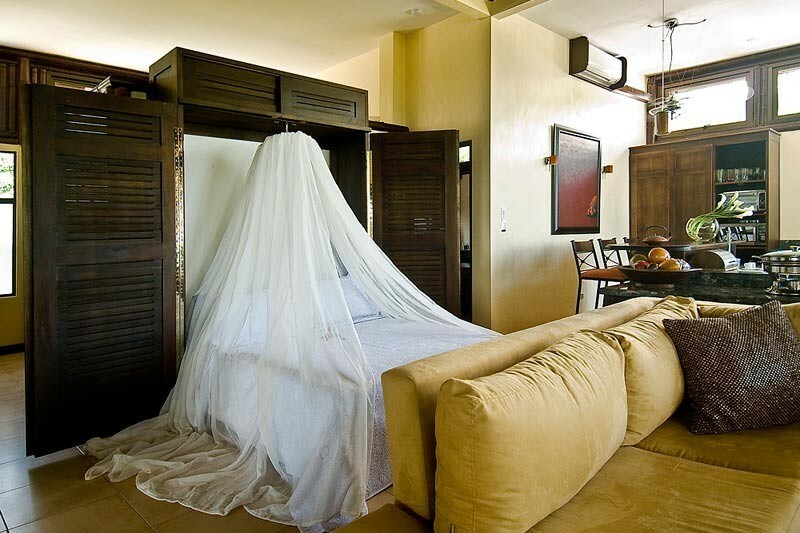 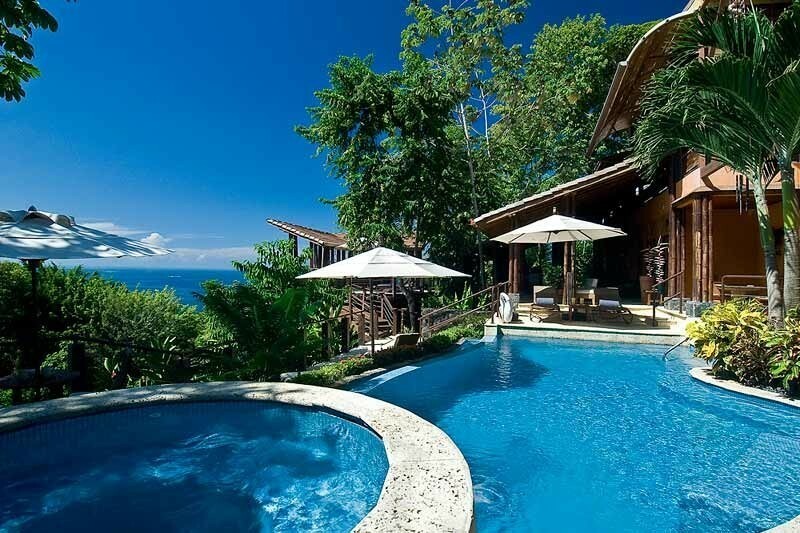 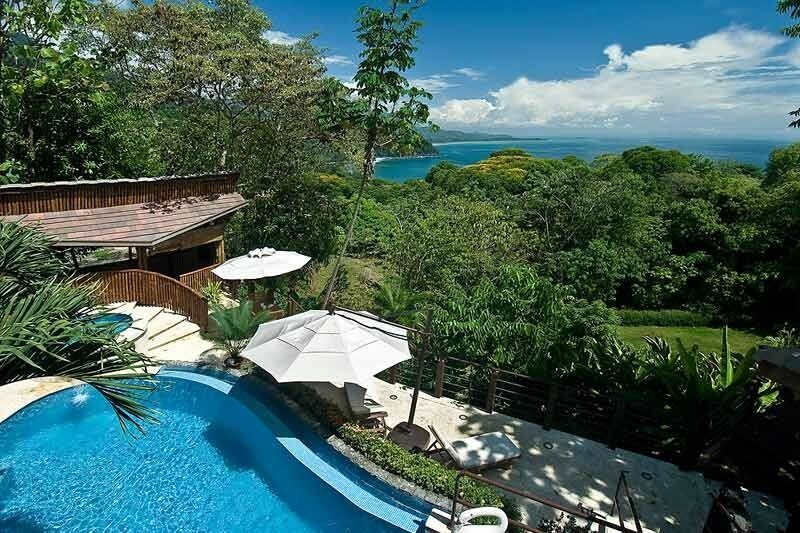 Experience first-hand the ultimate in tropical coastal living in Costa Rica in a private villa, conveniently located to all act. 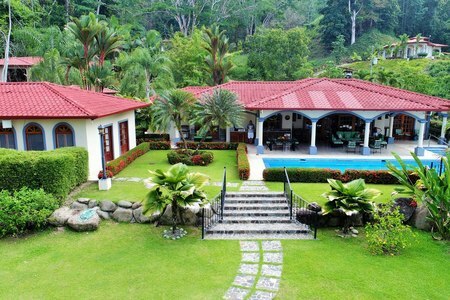 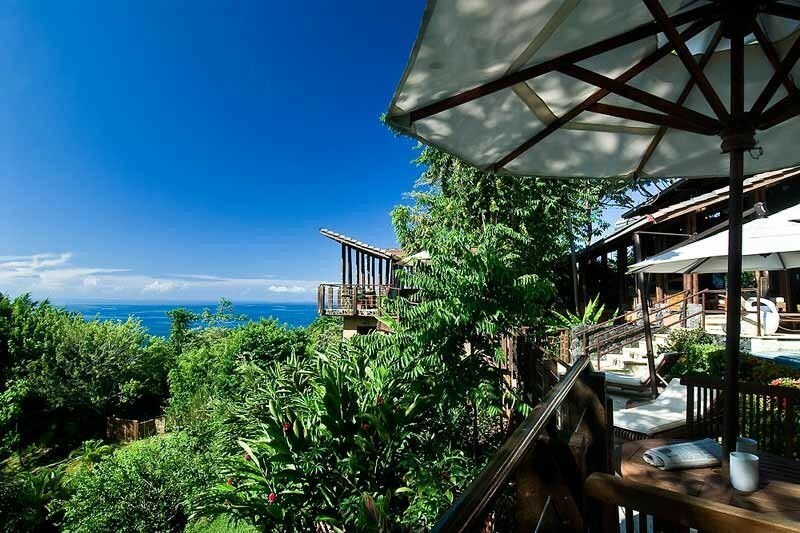 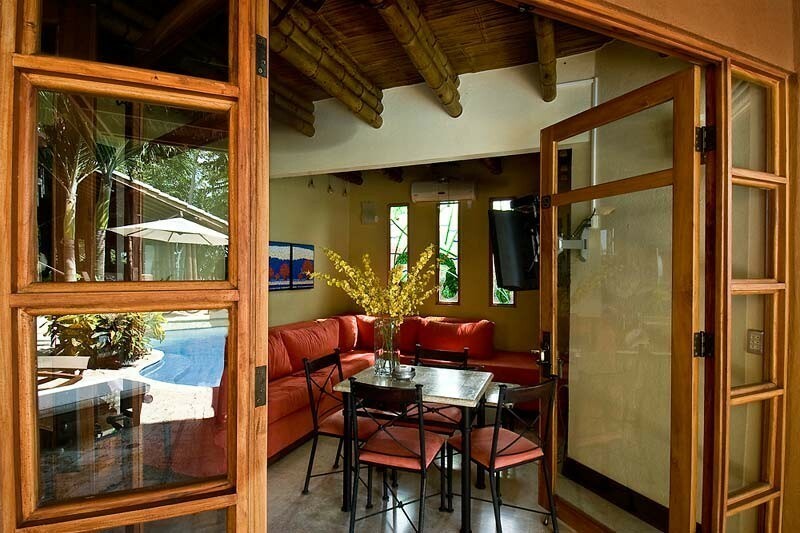 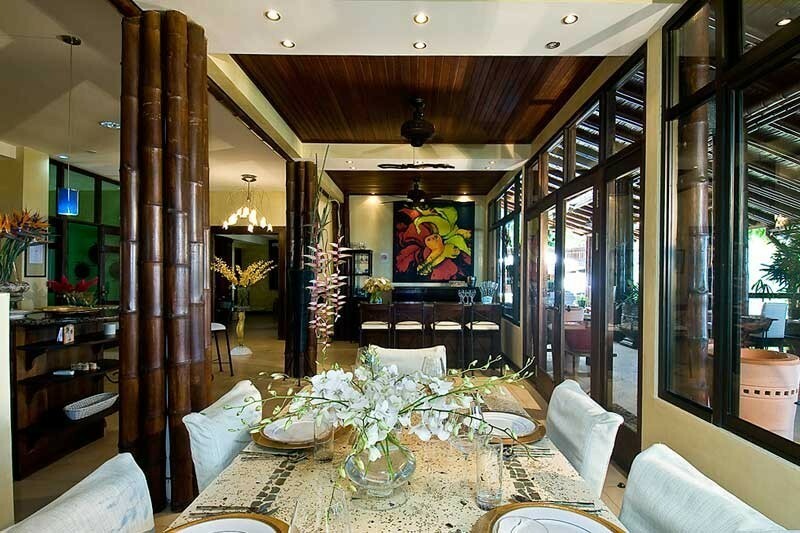 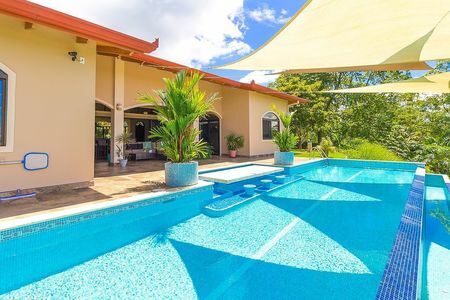 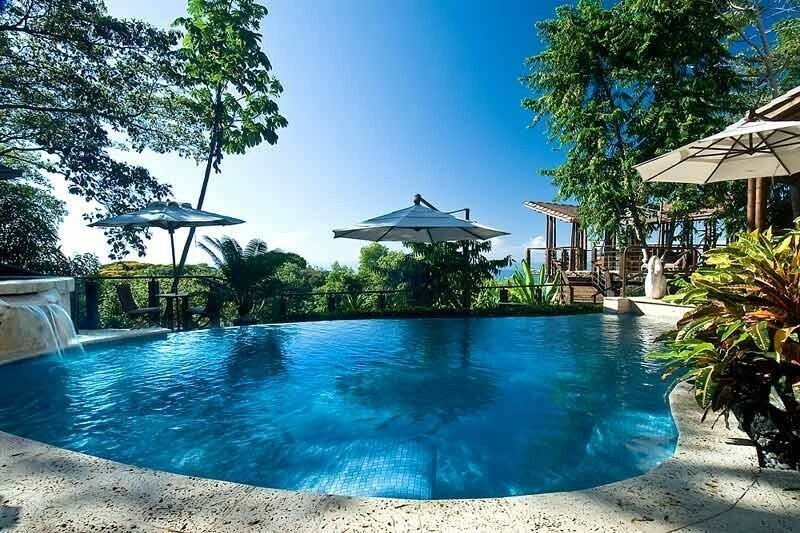 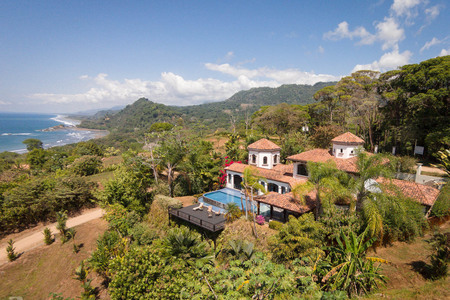 This unique property is the best way to experience Costa Rica’s culture, food and fine art, the ultimate PURA VIDA! 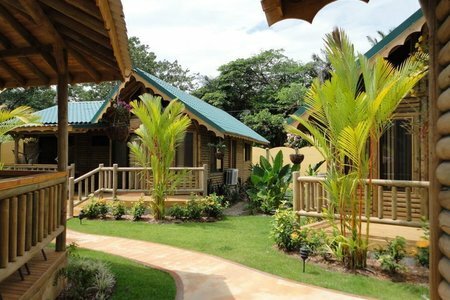 $1104/nt (5 nt Min) Dry Season, $864/nt (3 nt Min) Green Season. 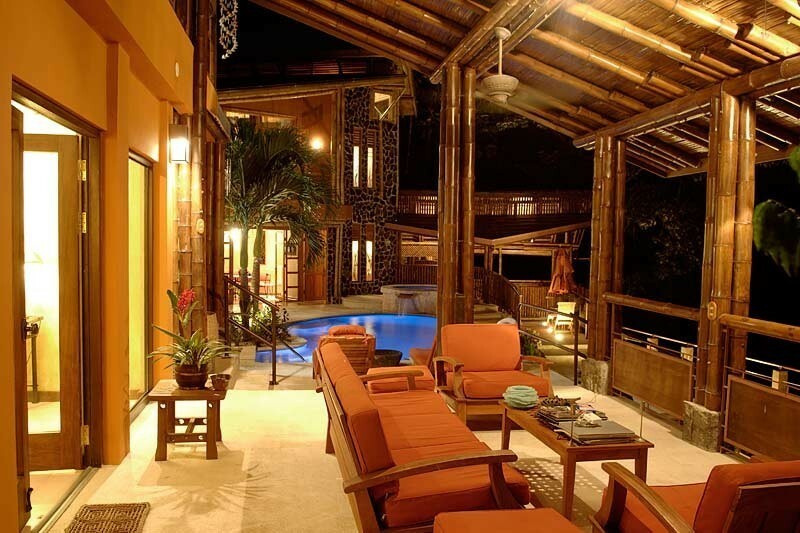 Entire Villa, 6 Bedrooms.